Join us for the culmination of Salon 63 curated by Sasha Galitzine. After hopping on and off the 63 bus route to see 12 new site-specific projects, our journey brings us to the launch of a short film and play script by Mexican artist Isaac Olvera written after observing the practices at Peckham’s Divine Destiny salon over three months. In this play Olvera introduces biographical elements of the unpublished writer, sybarite, punk, libertine, and femme fatale Natasha Fuentes. 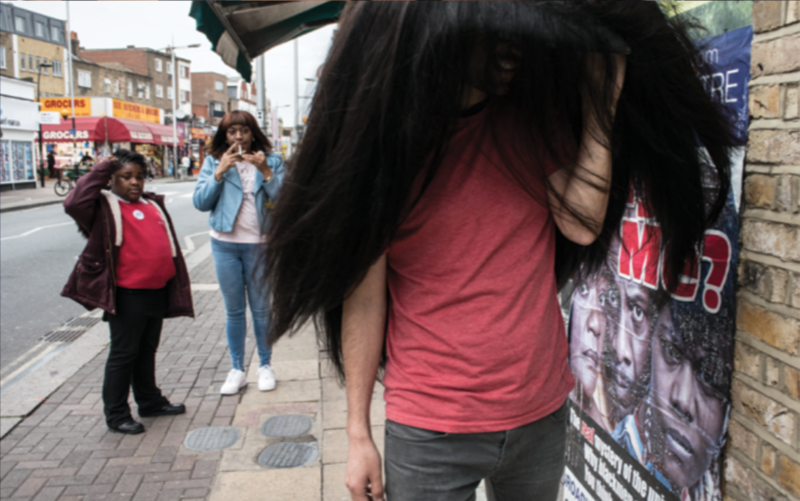 Salon 63 pairs artists with hair & beauty salons along the route of number 63 bus (Clerkenwell → Peckham) to make site-specific works reflecting on community and self-care. To join us at the beginning of the route see the list of all participating salons at Salon 63.